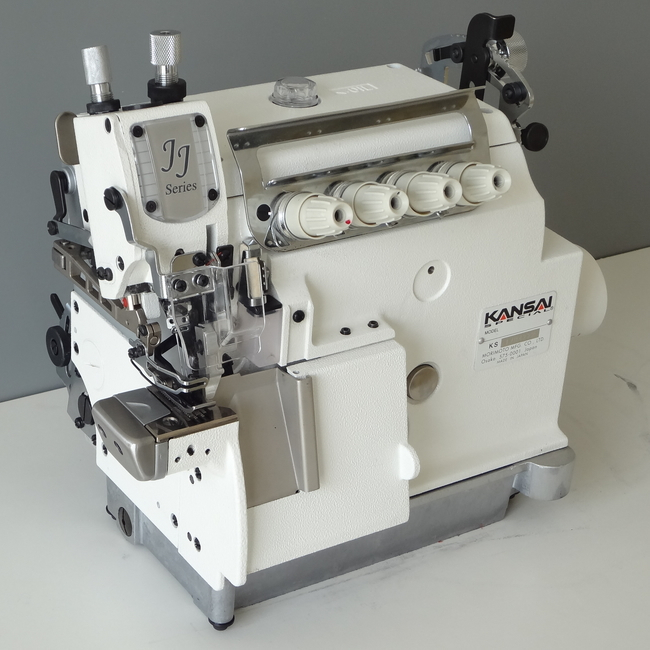 JJT5000 serie is a small cylinderbed (circumference148mm), 2 needles high speed overlock machine with top feeding mechanism. Needle bar is coated by DLC and applied oil seal for protection from oil stain.. This machine is suitable for attaching the neck part of the T-shirt, and sewing baby, child wears.